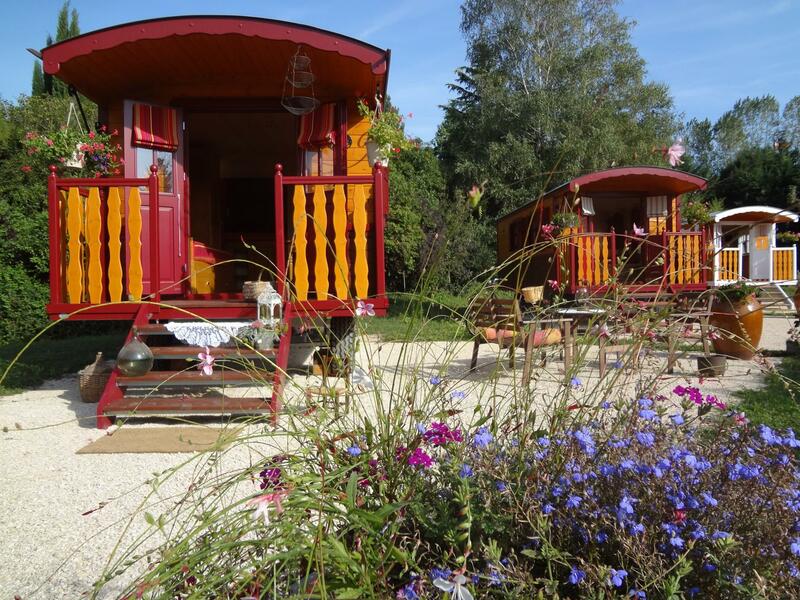 Be daring and book a bohemian and romantic holiday by booking a stay in our gypsy caravan. 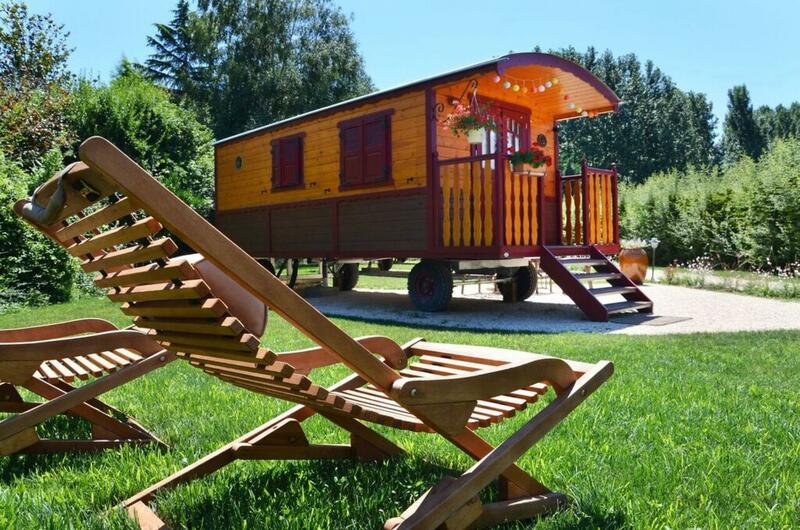 Nestling in the lush greenery offered in the park our caravans invite you to stay as close as possible to nature without sacrificing modern room comfort. 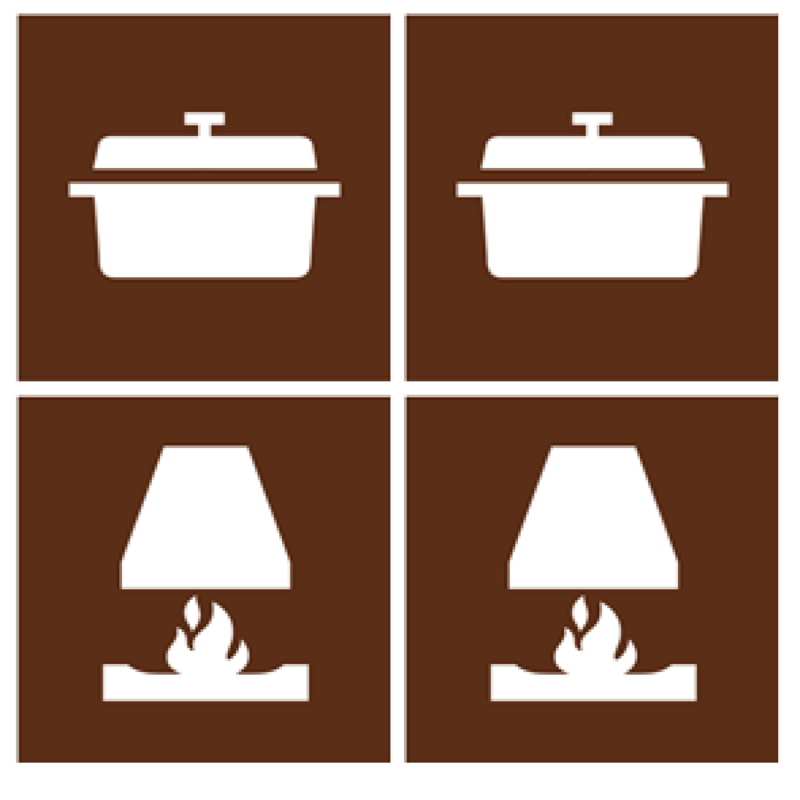 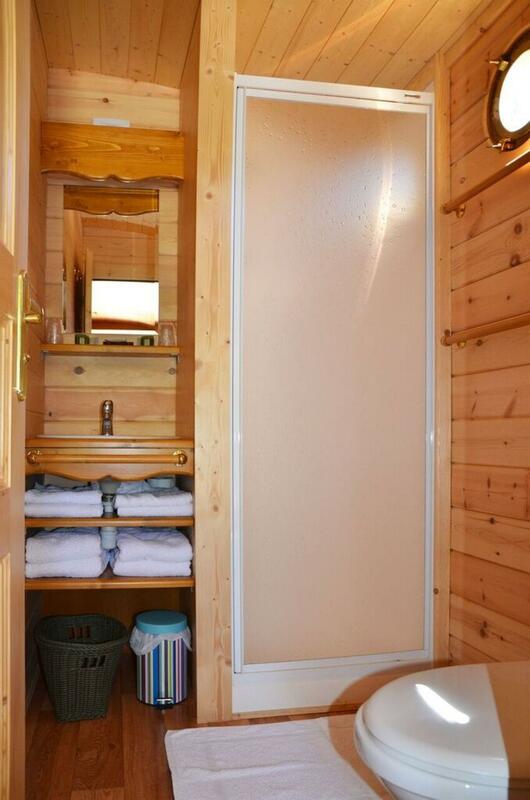 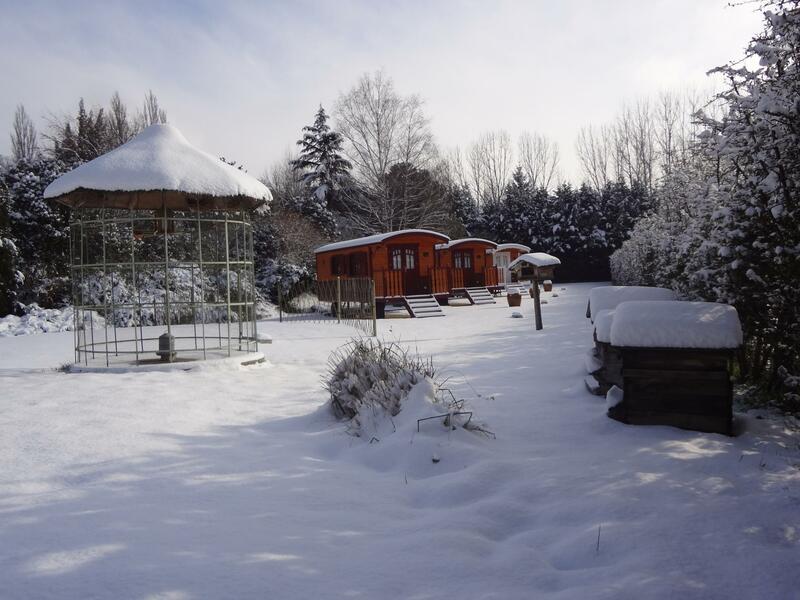 Our caravans are equipped with heating, bathrooms with showers, toilets. 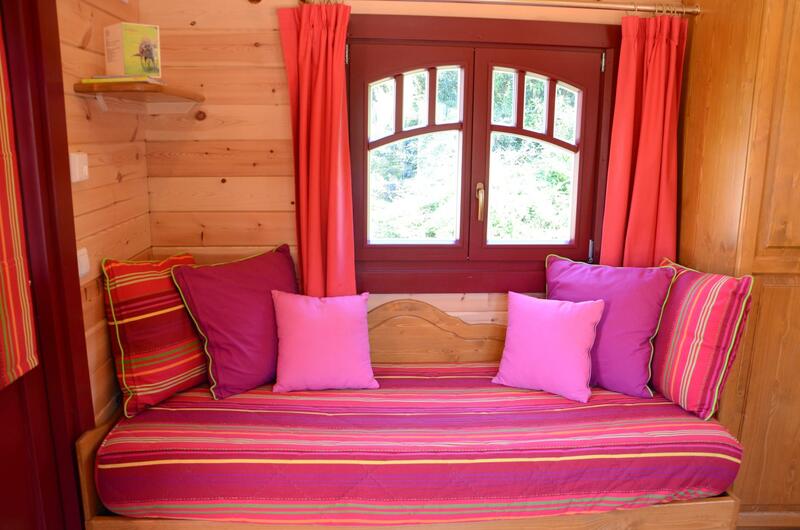 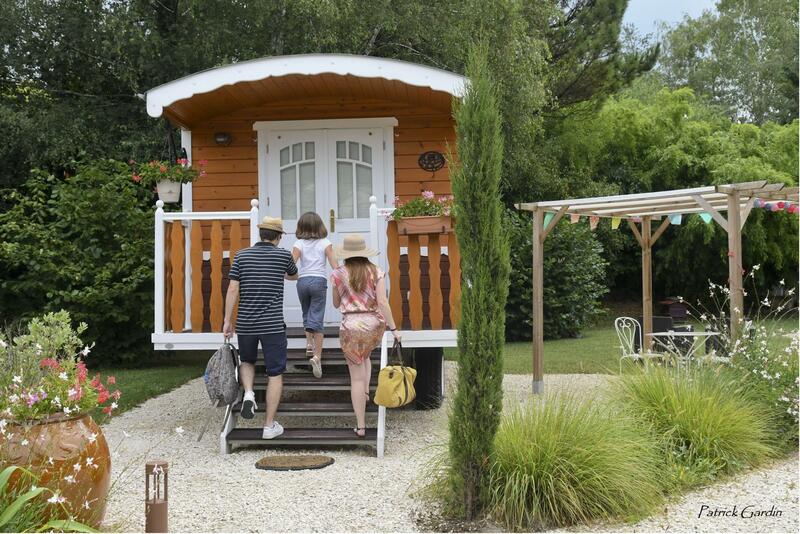 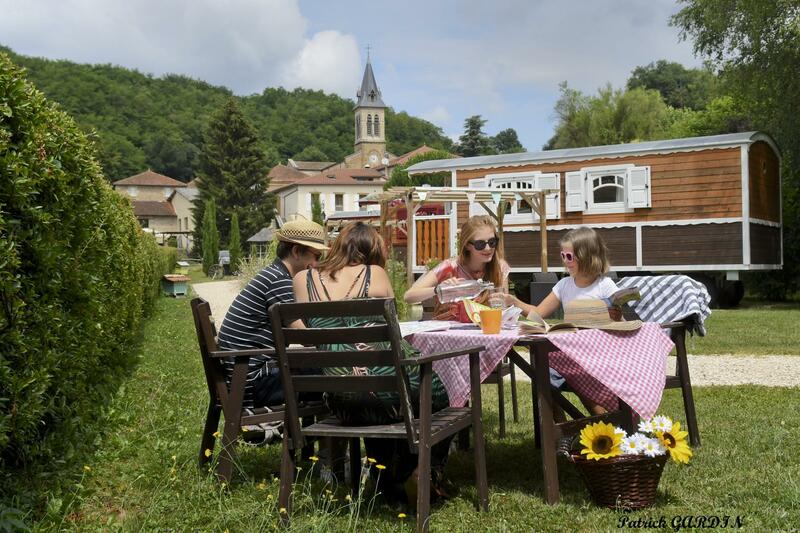 Each caravan has a small terrace to enjoy the balmy evenings overlooking the Drome hills. 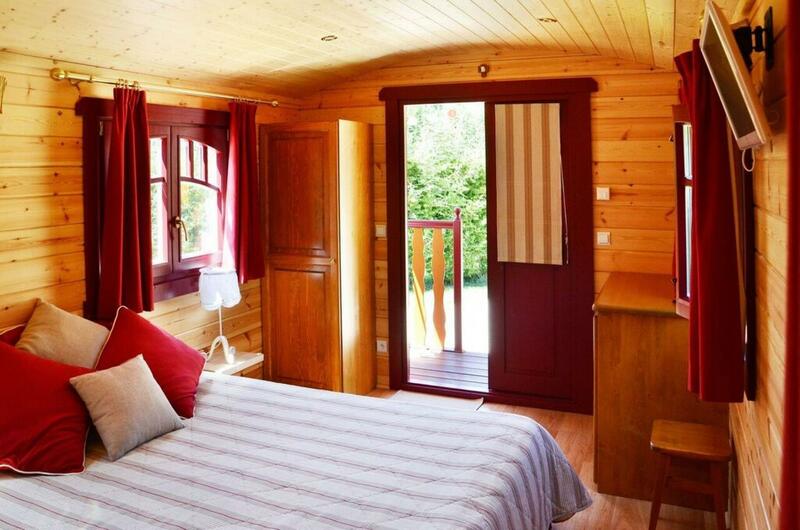 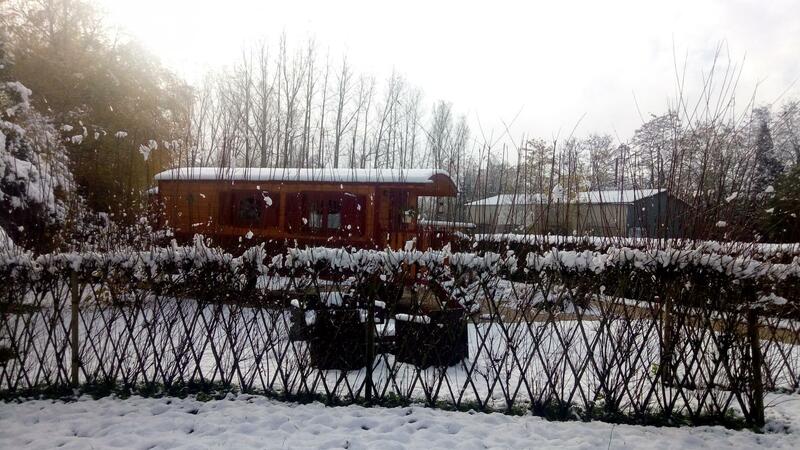 Romantic caravans, unusual accommodation in Hauterives. 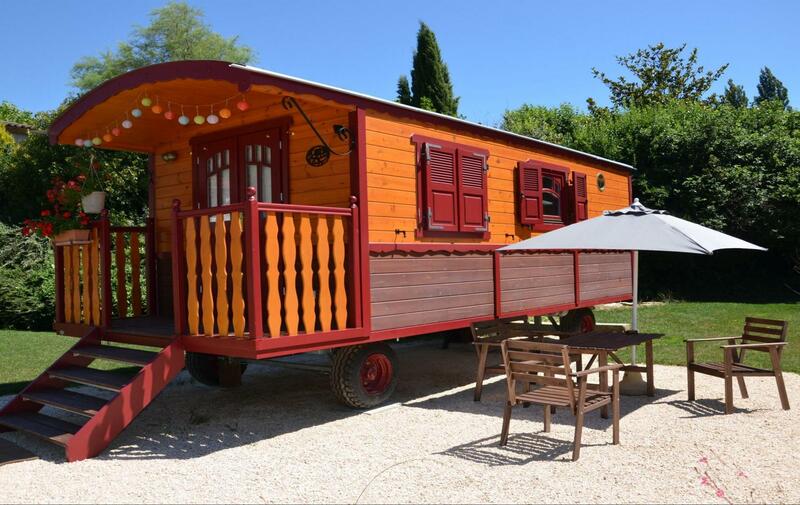 Caravan gite near the Palais du Facteur Cheval in Hauterives.